The NSW Government has ordered a “comprehensive investigation” into the structural integrity of Sydney’s Opal Tower after a severe crack in the 34-storey apartment building forced a mass evacuation on Christmas Eve. 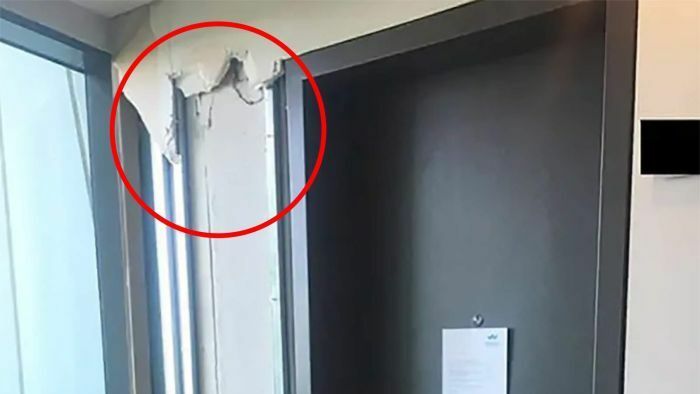 It comes as photos of the damage to the building have emerged, showing the destruction of the plaster inside and the cracking in walls that triggered the evacuation, leaving some residents homeless for Christmas. Police have said an internal support wall failed. The photos, first published by The Daily Telegraph, show plaster strewn across the ground on level 10 of the apartment tower in Sydney Olympic Park and the large crack that caused the building to move 1mm to 2mm on Christmas Eve. While most residents have returned, 51 apartments — about a third — have been deemed unsafe and those living there are spending the Christmas period elsewhere as they await further updates. NSW Minister for Planning and Housing Anthony Roberts said an investigation into compliance with conditions of approval for this building “has already begun”. “I have ordered my department to comprehensively investigate and report to me all steps taken to ensure this building’s structural integrity,” Mr Roberts said. The building, which cost Australian developer Ecove $165 million to build, was given the greenlight under the Government’s significant development legislation which gives major developments a way of side-tracking council approval. Ecove director Bassam Aflak today defended the building as “high quality”, saying it was “well above the industry standard”. “Until now it’s a project that’s gained attention because of its quality,” Mr Aflak said. “We’re waiting on further information from the engineers, but we understand the issue is with a concrete panel. Mr Aflak said the builder of the project, Icon — which is owned by Japan’s $12 billion Kajima Corporation — had full liability on its design and construction. “The company is a well-established high-quality builder,” he said. The NSW Government’s significant development legislation was introduced earlier this decade to address the significant housing shortage in areas such western Sydney — the area where the tower is located. NSW Treasurer Dominic Perrottet today defended the process. “There has obviously been significant development across the state since 2011, 500,000 approvals and that’s a positive thing,” he said. Experts have questioned how the building, which only opened in August, could have suffered such significant structural damage. The apartments sell for $620,000 for one bedroom and one bathroom and up to $935,000 for a two-bedroom, two-bathroom apartment.